Pre-2011, one of the most popular socialising locations in the inner city was known as The Strip, the row of restaurants, bars and nightclubs that fronted onto the Avon River between Hereford and Cashel Streets. Then of course, the earthquakes happened, and the rebuild of this city block took some time to get underway, based on the vision of local developer Anthony Gough, who was inspired by Melbourne’s laneways to build something more than just a row of concrete boxes. Fast forward to 2019 and the replacement for The Strip, known as The Terrace is pumping every weekend and evenings throughout the week. One of the best additions to this riverfront spot post-quake are the deep and wide steps down in front of the The Terrace so people can grab lunch and sit watching the river – and the punts, going by. On the far side of the river, a perfect location has been created for bands to play, using the river bank as a mini-ampitheatre, and also providing a great hub for the Busker’s Festival currently on in the city. So what’s on The Terrace? Claiming to be the best place in Christchurch for cocktails, Kong is on the ground floor in the same building as Fat Eddies on the corner of Oxford Terrace and Hereford St. And alongside the extensive cocktail menu, of course there are plenty of delicious bites to keep you going. 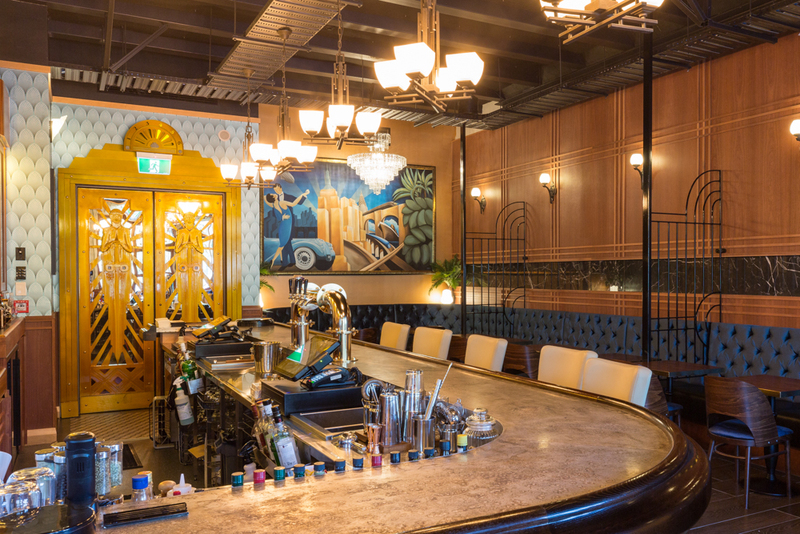 This opulent bar has been designed to reflect the glamour of the 1930’s. They open daily at 5:00pm and stay open till 3:00am. 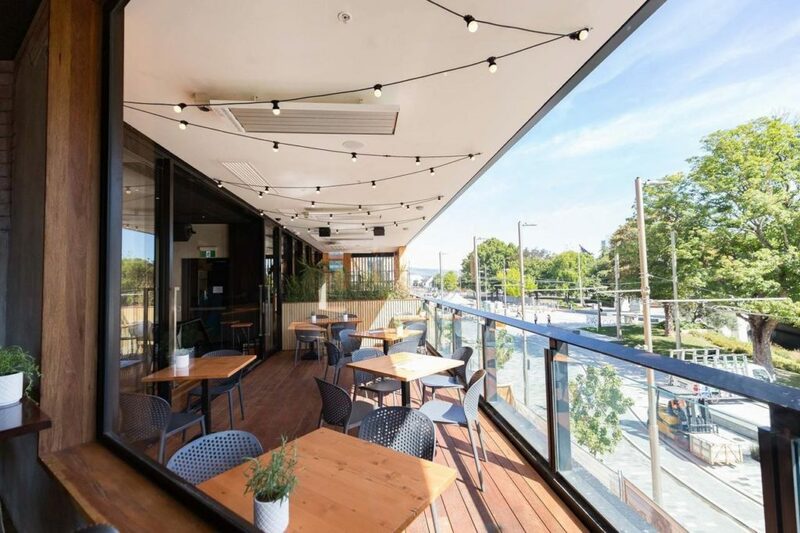 Another outstanding restaurant/bar from the owners of former Christchurch institution, the Dux De Lux, The Terrace Tavern is the latest Dux adventure on The Terrace – Christchurch’s most exciting hospitality strip. Terrace Tavern is a relaxed, casual place where you can come to meet your friends, family and colleagues to enjoy drinks and eat together. 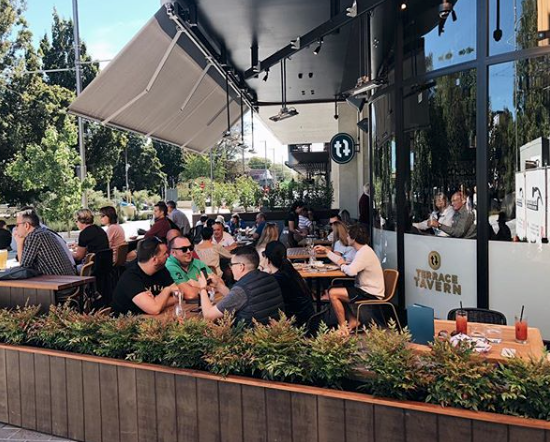 As you would expect from any good Taven that lives up to its name, the Terrace Tavern menu includes many robust meals for meat eaters – which is a step outside the norm given the vegetarian/seafood only menus of the old Dux and the Dux Dine restaurant in Riccarton Road. 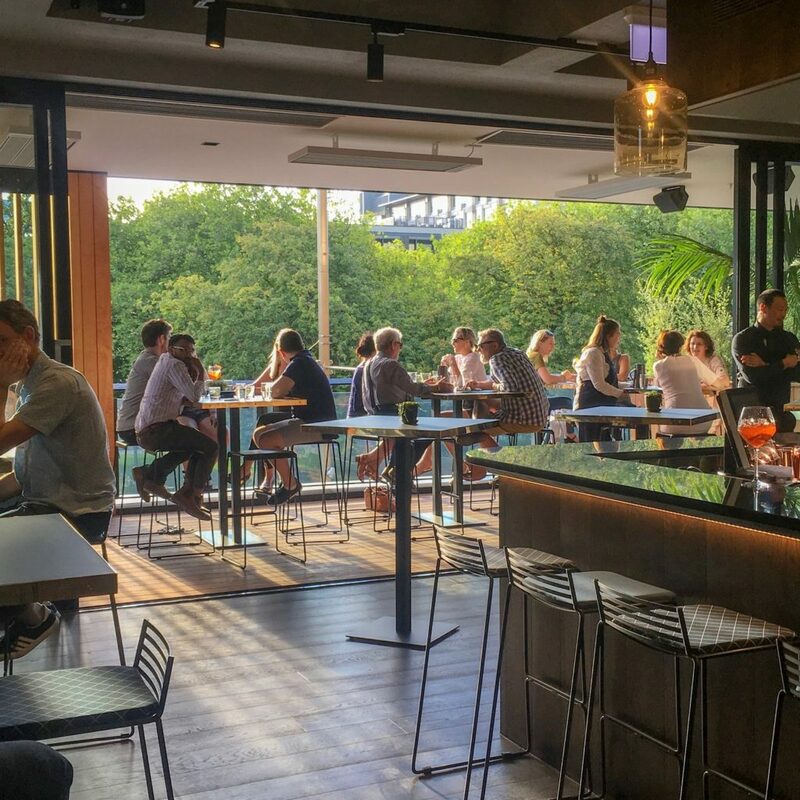 Like Dux Central and Dux Dine, Terrace Tavern features the Dux beers alongside some more well-known options, while the wine list has a proudly biased Kiwi line-up. 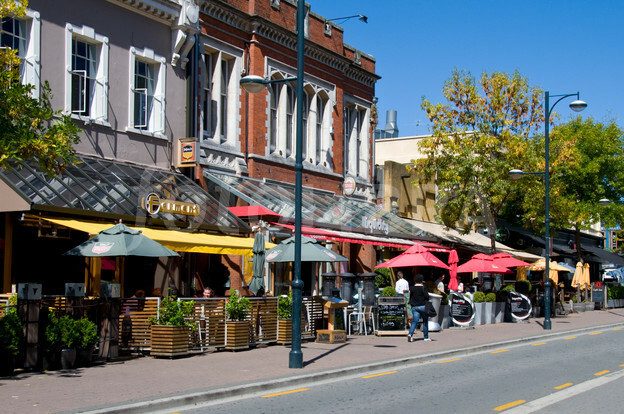 Fat Eddies is Christchurch’s premiere jazz club with a mighty proud history – and one of the few spots on The Terraces offering live music on a regular basis. Plus a menu of pizza and bar snacks and an extensive wine list, beer options and a selection of cocktails to keep you going through the night. This place really gets busy, so get in early to claim your spot if you are planning to spend some time, or simply add it to the list of places to check out in an evening spent on The Terrace. The Craft Embassy is an award winning bar and restaurant situated on level one of The Terrace at the heart of Christchurch’s hospitality precinct. Their specialty is thirty taps of independent craft beer, plus a wine list including local, New Zealand and international wines and an plenty of food options. Botanic’s unique space brings groups together – a warm balcony overlooking the Avon, a long, clean interior with pockets of bench seating, and a rear rooftop garden bar sheltered by a modern glasshouse. The menu was inspired by an escape from the heavy pub-fare of yesterday to a selection that is light and healthy yet provides plenty of flavour options. Botanic’s menu is complemented by the list of refreshing summer cocktails developed by renowned mixologist James Crinson. Or you can pick a glass of vino from their wine list curated by Australian winemaker, David Messum. The diverse menu and beverages provide the perfect setting for business lunches that could continue into post-work drinks. 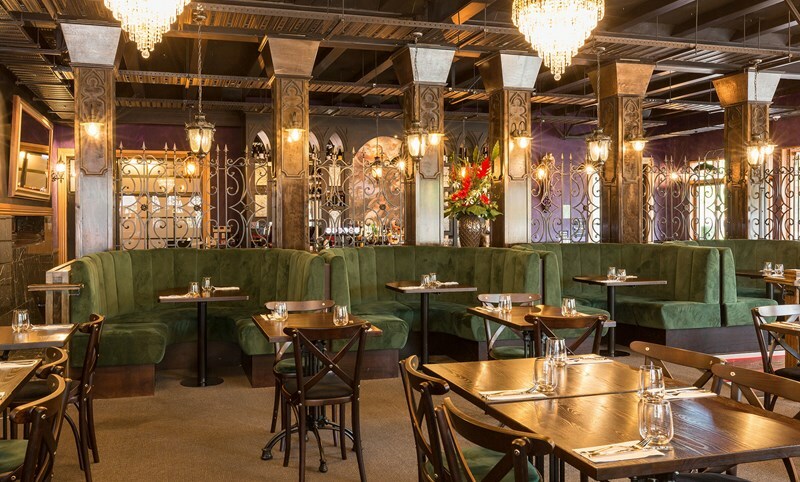 Original Sin is a premium restaurant in the heart of Christchurch City. Guests are invited to indulge in a unique dining experience surrounded by decor designed to capture the Adam and Eve era. With dark woods, velvet seating and lush interiors this is the perfect venue for dinner bookings, large or small.